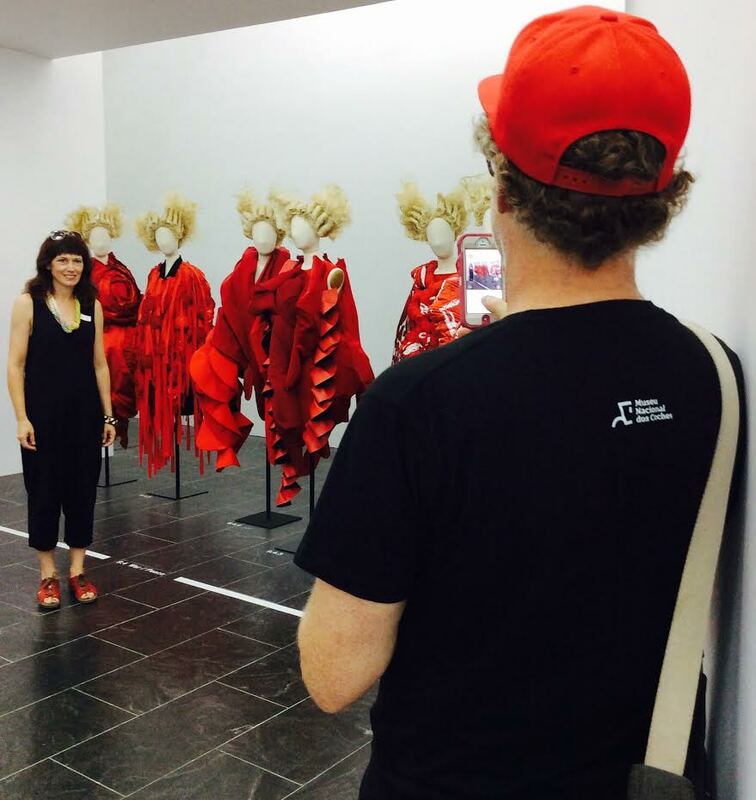 TheEye was thrilled to be in New York and the opportunity to see exhibitions of two of her favourite designers. One clothes and the other furniture, glass, and ceramics. Neither has what you would call mass appeal which is precisely why they appeal to TheEye. 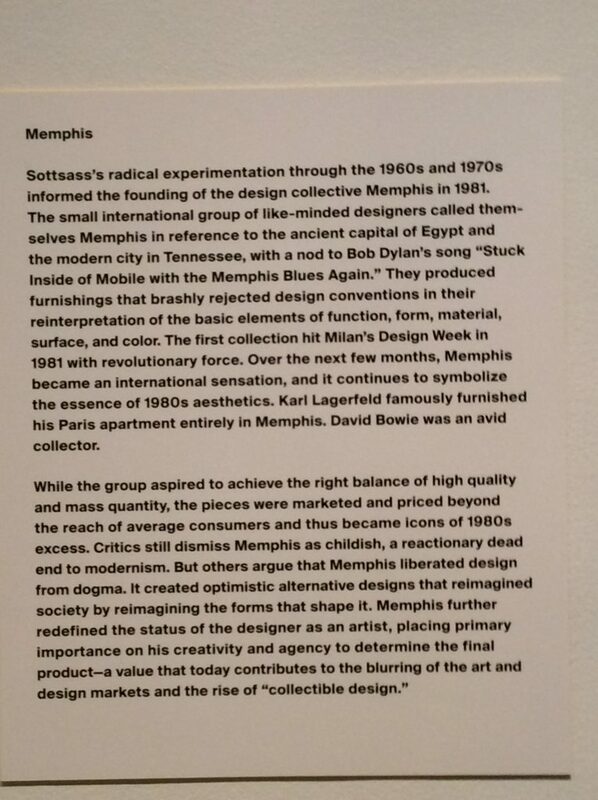 True, they can both be accused of eccentricity and a tendency of leaning towards the far left schools of design. They are both trailblazers, sharing an uncompromising originality. Leaders, not followers. Hurrah. 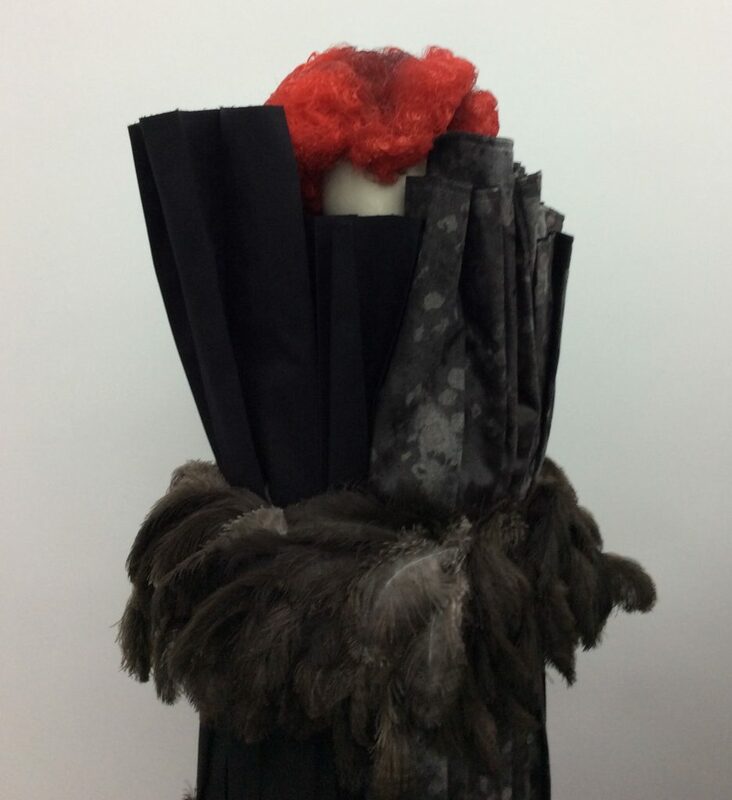 Rei Kawakubo is the visionary behind the iconic label Comme des Garçons founded in 1969, and Italian designer, Ettore Sottsass, a founder member of the legendary Memphis movement. 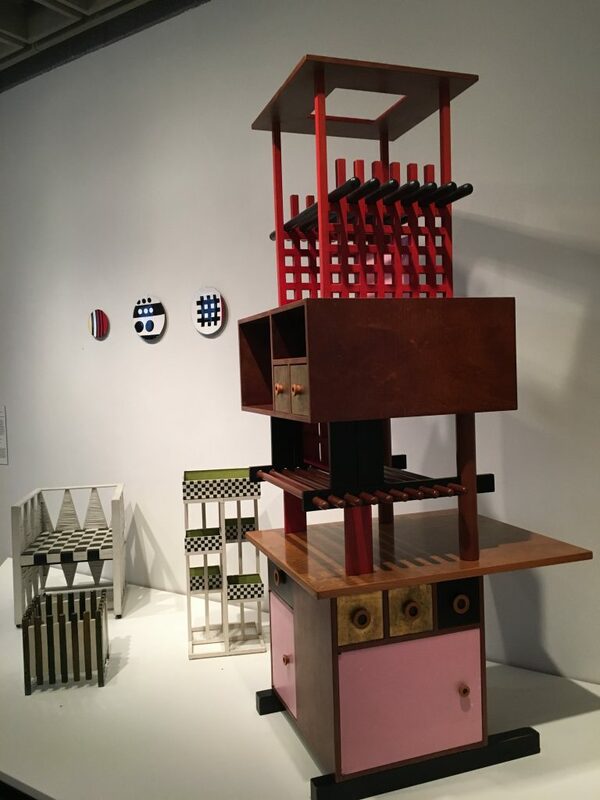 TheEye has been a fan of Ettore Sottsass for many years, even owning some of his ceramic and glass designs for Memphis, but was amazed how many of her very design savvy friends barely knew of his existence, let alone his influence and importance. 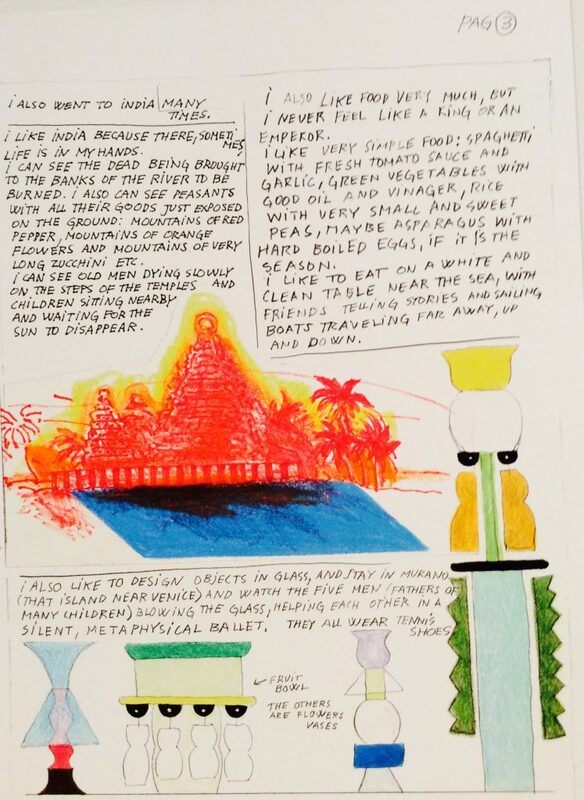 Curator Christian Larsen explained ‘I believe it’s important to celebrate this auteur who isn’t that known in the United States, ‘ and it was clear eavesdropping into conversations of visitors that they were seeing something very new and visually jaw-dropping. 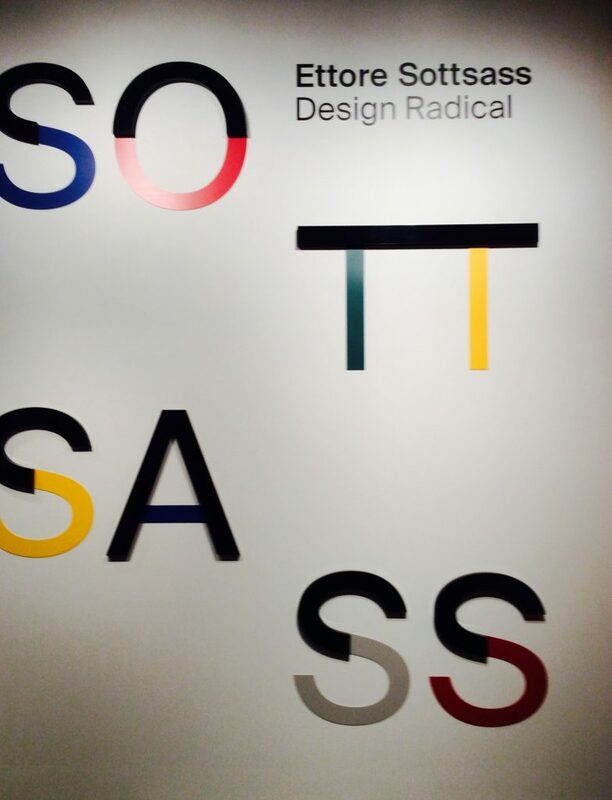 Sottsass used colours so bright and vibrant they put your teeth on edge. 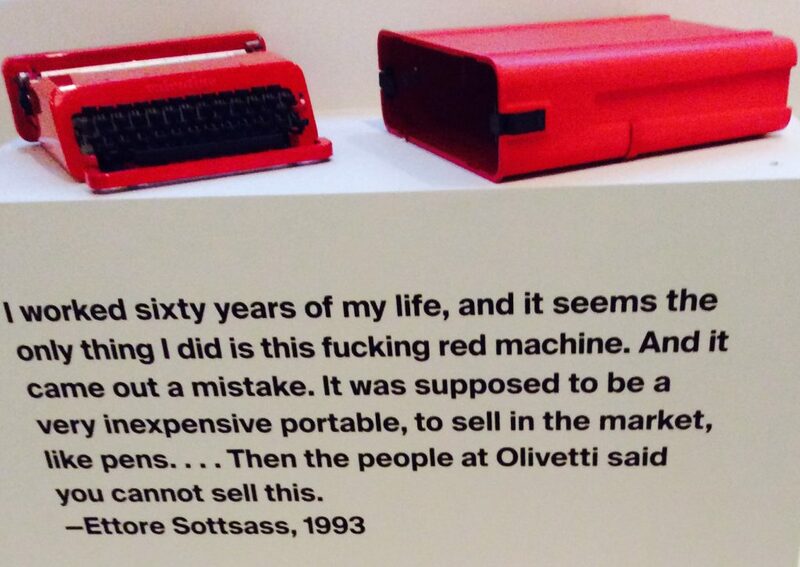 Sottsass in his own words…. Colours so bright and vibrant they put your teeth on edge. 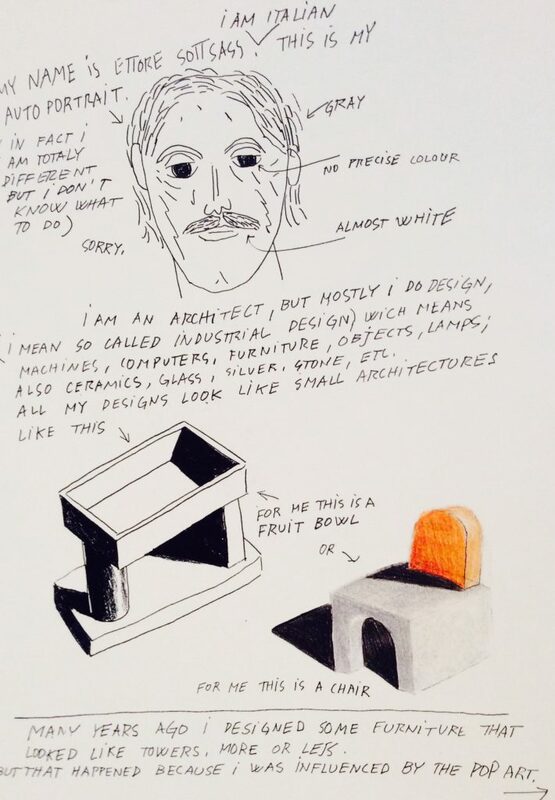 Sottsass – under the influence?? What most appealed to TheEye was how informative and accessible curator Christian Larsen demonstrated with the historical influences on Sottsass – Koloman Moser and Josef Hoffman, for example, both design masters from the early twentieth-century Viennese school, with their elegant proportions and geometric shapes. 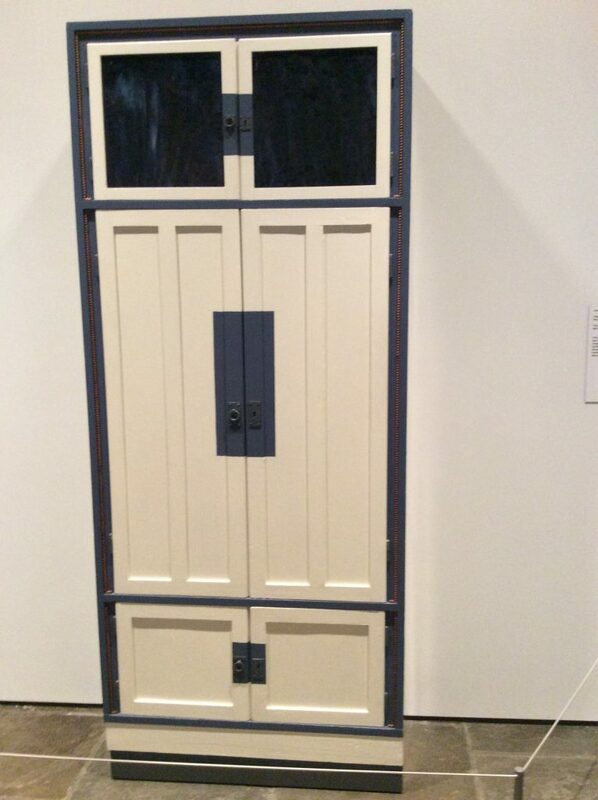 Even a Shabti Box from the nineteenth dynasty dating to 1279 – 1213BC alongside a 1903 wardrobe by Moser. You may well ask. 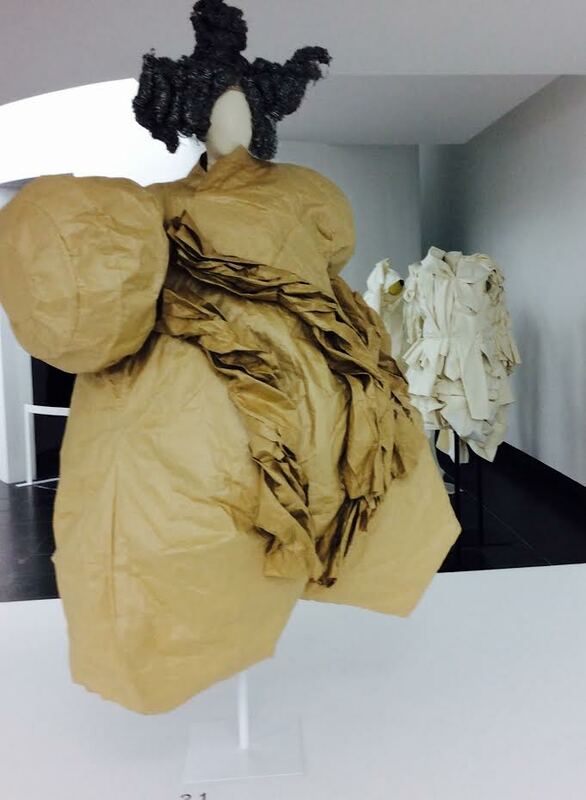 According to Rei Kawakubo, ‘my clothes and the spaces they inhabit are inseparable – they are one and the same. They convey the same vision and the same sense of values’. The model was stick-thin and managed to look like a package the Post Office returned after it burst open! 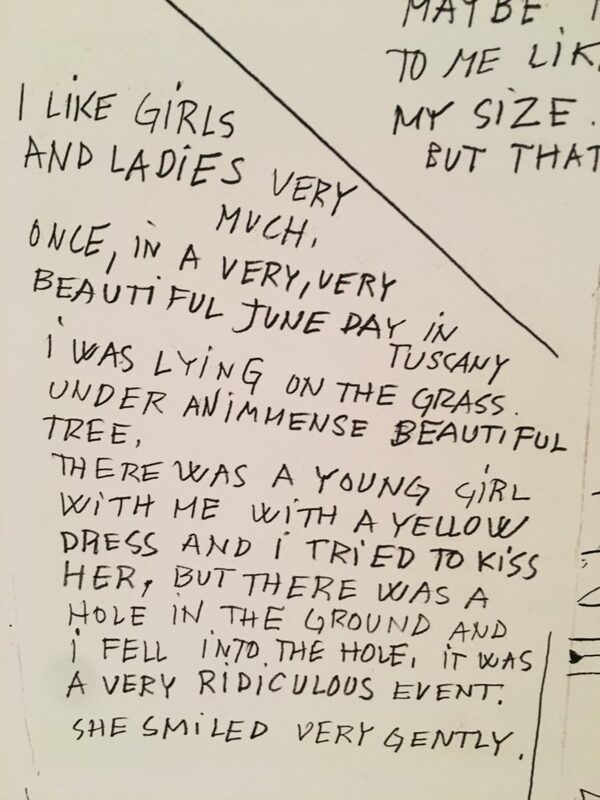 It all makes complete sense I am sure, and ‘designed as a complete expression of the Comme des Garçons ‘universe’, but TheEye didn’t understand a word. 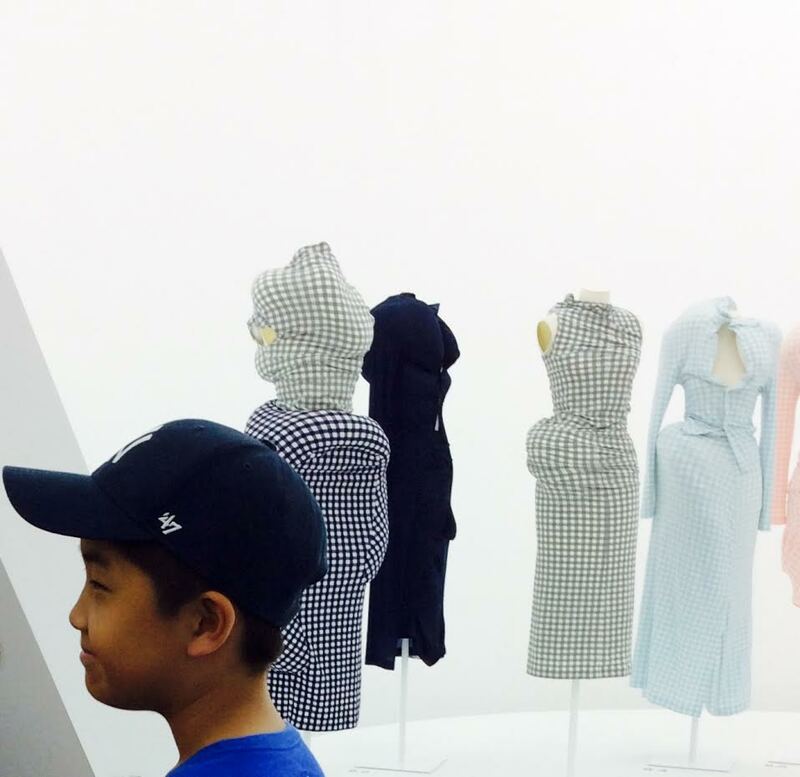 She was more than happy to wander like all the other visitors which included children and adults alike, experiencing and appreciating the incredible, extraordinary, garments without the need of baffling and incomprehensible over-wordy explanations. 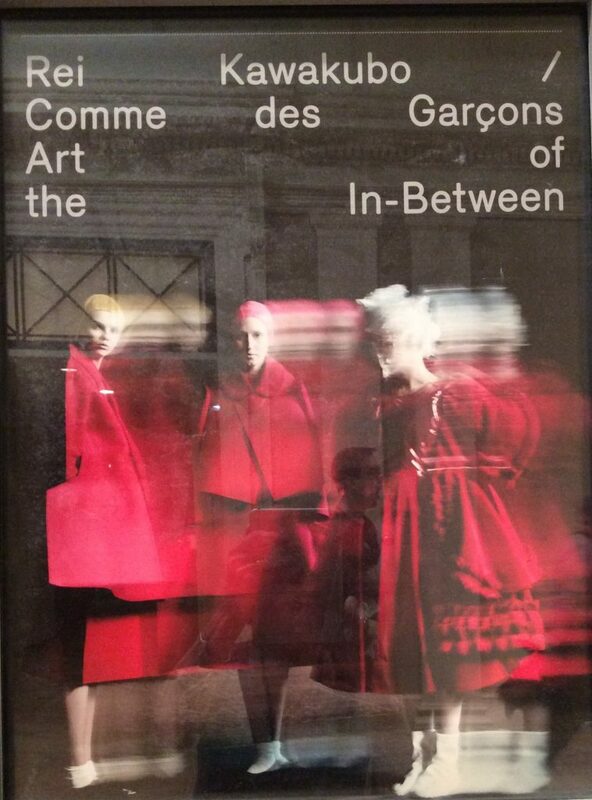 Commes des Garçons is part of my fashion life. From skirts with a leg (no, I am not gender-blending; way before that), jackets with one sleeve, occasionally two and sometimes three. My most memorable reaction to a purchase was a charcoal colored wool suit (so what, I hear you say) . I was particularly taken with the hanging threads which would have any normal person demanding a price reduction for shoddy workmanship. ‘Au contraire’ -reduction? This was the jacket’s USP and I was thrilled with my purchase. When I proudly wore it, my family’s opinion was unanimous. I had been taken for a ride. More annoying were well-meaning people (strangers in the street), who stopped to tell me there were loose threads hanging from the hem of my jacket, which might need cutting off. Rather like pointing out that someone has lettuce or spinach stuck between their teeth. I did not appreciate it. I loved my jacket. 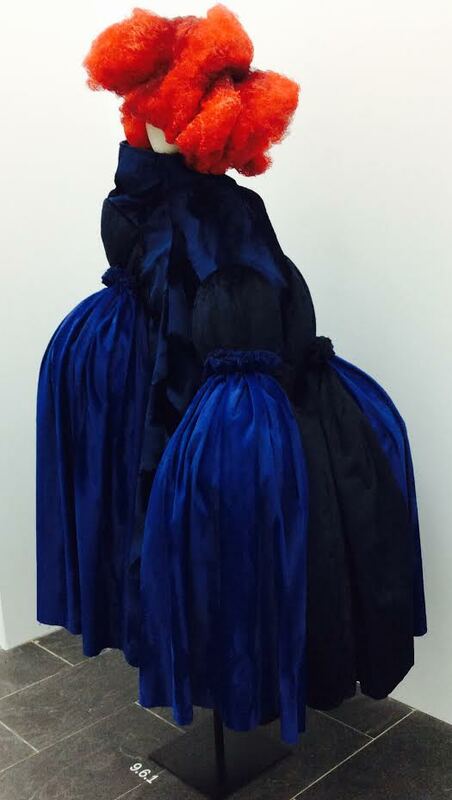 Did I enjoy the exhibition – of course – it was fascinating to see the incredible materials ‘non-fabrics’ or ‘nonwoven, non-fashion materials’. 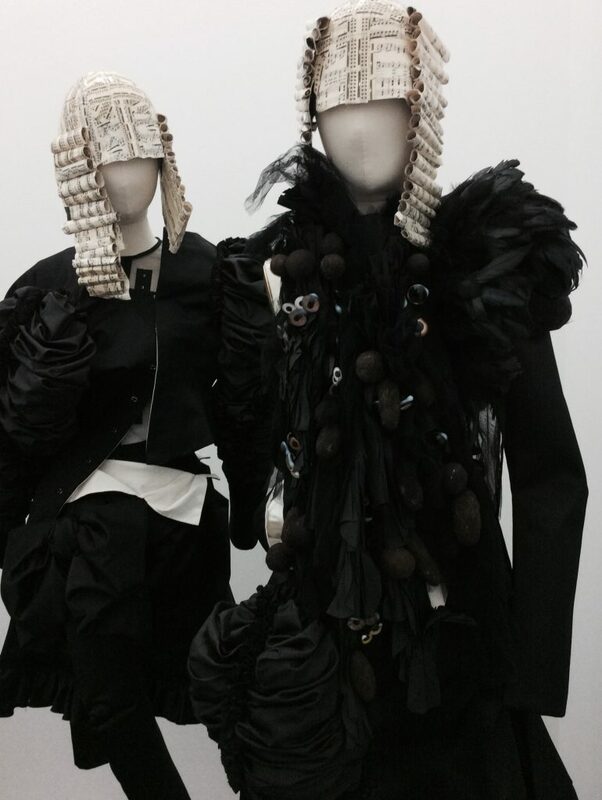 The breadth and vision of Kawakubo and the pleasure to experience it as a voyage of discovery. And guess what: I even treated myself to a sweater from the Museum’s Comme shop. Naturally, it has enormous holes in it and I am waiting for a well meaning friend to ask if we have a plague of mutant moths in the house. And then home to the sad news of the death of the all-singing, all-dancing, ever upbeat Sir Bruce Forsyth. Like many, TheEye found his Cheeky Charlie manner, the corny ‘double entendres’ a bit annoying, but he gave it all his all and genuinely enjoyed the pleasure he gave his millions of fans. Brucie was ‘Mr. Saturday Night Television’ constantly re-inventing himself. Loved the pictures and comments.. was inspired to go back to the met and revisit it all again!! Wonderful wonderful piece! Loved it! Loved seeing elements of the show and hearing your comments.